Below is a link to six videos that analyze the global debt problem. A good review of our monetary system and the current/impending problems. Do YOU agree with the analysis? Your thoughts welcome. Gold Stock Update from Myrmikan Capital. Myrmikan’s error in 2011 was an underappreciation of the forces the central banks brought to bear to reverse the credit collapse. Quantitative Easing was the least of the tools: it was the trillions of dollars of guarantees and the suspension of market-tomarket accounting that allowed the banks to puff the bubble even larger. And, there may remain policies that can lead into another round of even greater insanity, which would weigh on gold. Former Chairman Ben Bernanke, for example, recently traveled to Japan to educate them on “helicopter money.” According to Bloomberg, Bernanke suggested the government issue non-marketable, perpetual bonds with no maturity date and that the Bank of Japan directly buy them. 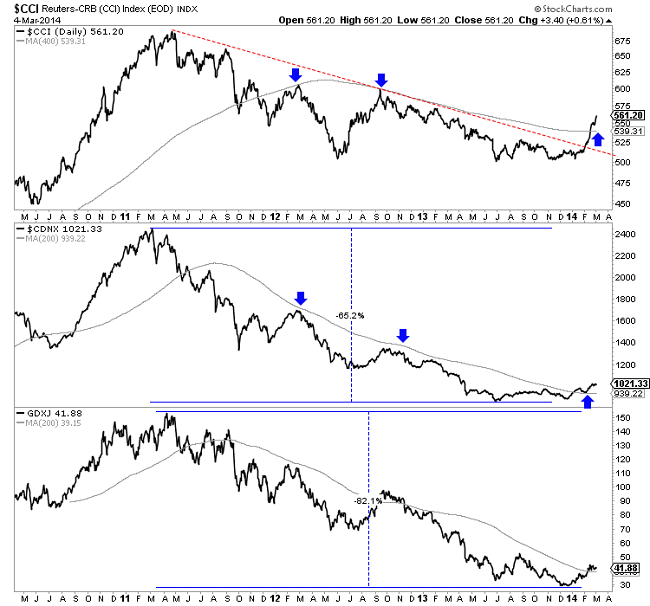 Gold Stocks: No One Left to Kill? 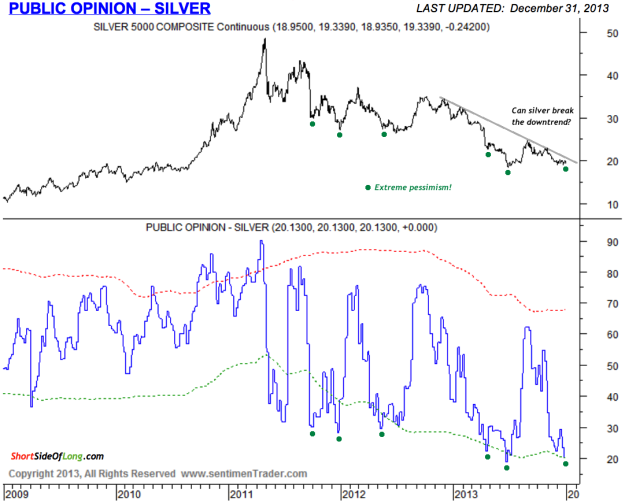 Note that CEF in the above chart trades at an 11% discount to its 60%/40% holding of gold and silver bullion after a four year down-trend–note that this is either hyper-bearishness or massive extrapolation of trend-following. Apple’s cash hoard could buy the entire public mining sector. 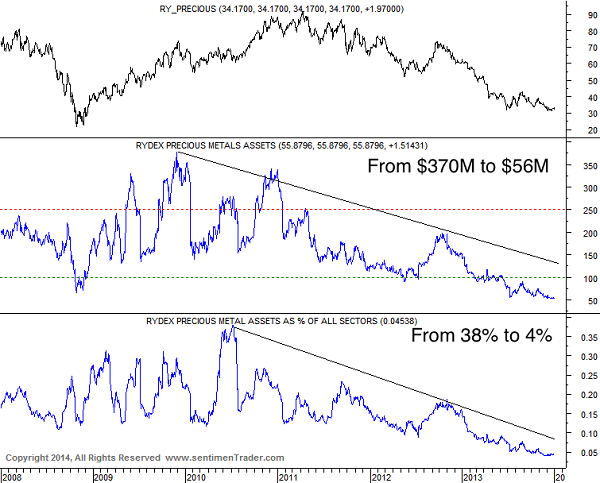 Gold stocks are cheap for a reason: poor capital allocation, poor cost control, and dilution of shareholders revealed in the five-year long bust from an epic boom from 2001 to 2011 caused investors to flee. Since then many managements have gained religion on cost control and capital discipline (Note Barrick, ABX). All cycles turn, but when? If we knew, then no opportunity. I always hear investors or analysts ask, “So what is the catalyst?” If the market is at all efficient–and I would say that it is except at major inflection points–then if we knew the catalyst, then the opportunity would be arbitraged away. How about the law of low prices or the law of supply and demand. 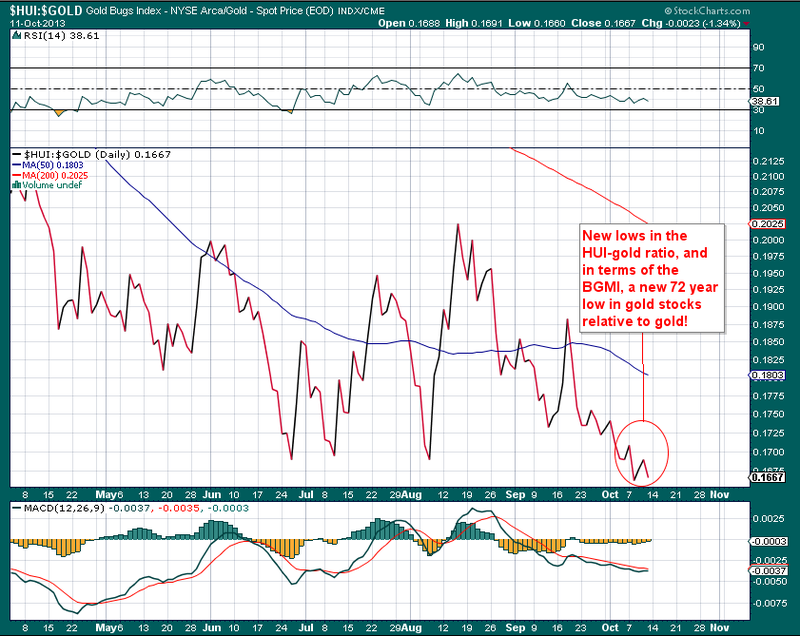 The HUI, a gold stock index, is showing relative strength versus gold. 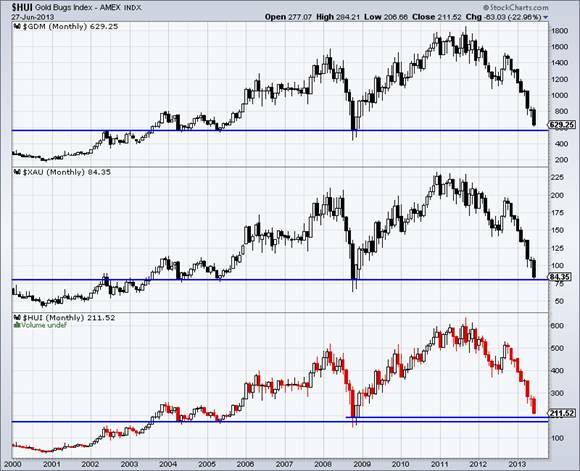 However, certain gold stocks like Novagold (NG), Sabina Gold (SGSVF) or Agnico-Eagle (AEM) are in incipient uptrends or, at least, vastly outperforming their indexes such as GDX or GDXJ. You must diversify amongst the highest quality producers, developers, and explorers. 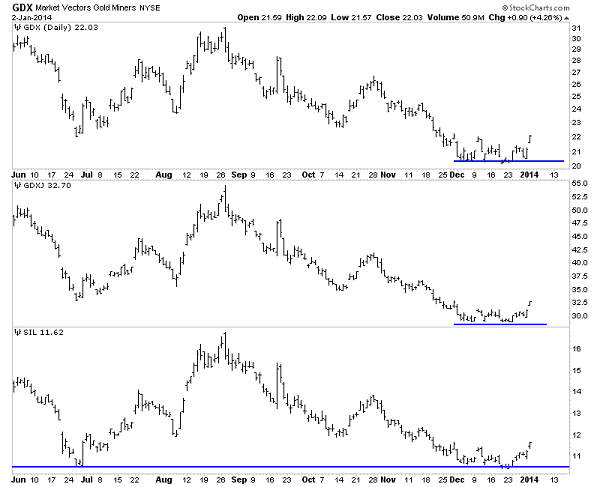 This post is not a recommendation but a historical reference point for a hated asset class. I see much less RISK in a terrible industry such as gold mining than wonderful businesses such as Amazon, CRM, or GE. 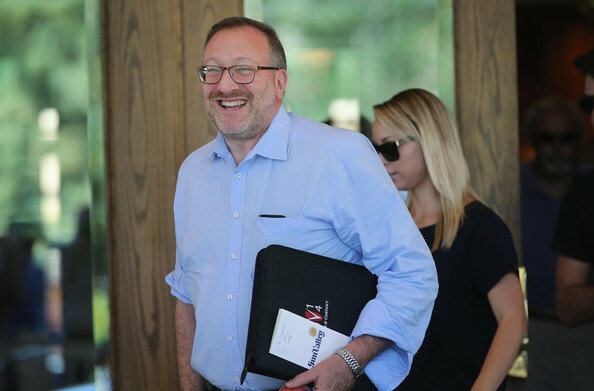 Below are links to Seth Klarman’s investor letters and appearances. I would try to study his philosophy, attitude, and approach to investing–see if you can integrate some of his approach to YOUR OWN methods. The table below is meant to highlight the HUGE price ranges of the micro-cap junior precious metals sector. I tend to avoid or make allowance for some of these companies going to $0.00 or diluting shareholders with equity offerings. How one investor changed his life by developing his OWN method of investing. Below is an advertisement to get you to hear the audio story. The ad places the HOOK, “an unusual money-making secret.” Baloney, he doesn’t use any “secret”. He simply found a method to value, buy cheaply, and manage a portfolio of precious metals’ stocks. And over the years he has done extremely well while stomaching swings of 50% or more. He can hold on, because of his work and confidence. THAT is his secret. I know this guy and you should listen to the interview. Yes, a bit hokey at first –who cares that he got revenge on his ex-wife–but a true story. There are LESSONS here. If you’re a middle-aged guy, divorce is one of the worst things that can happen to you. It can ruin you, both financially and emotionally. But I recently heard the story of a Ft. Lauderdale man named John (Actually, John Doody of www.goldstockanalyst.com) who discovered an unusual moneymaking secret after going through a bitter divorce. John says this secret has made him a multimillionaire over the past decade… even though his ex-wife took almost all of his assets. And he asked us if he could share his story with you. In fact, he says he even went through the expense of having his transactions verified by an independent auditing firm… just so he could prove his incredible story to the world. Click here to listen to John’s story. 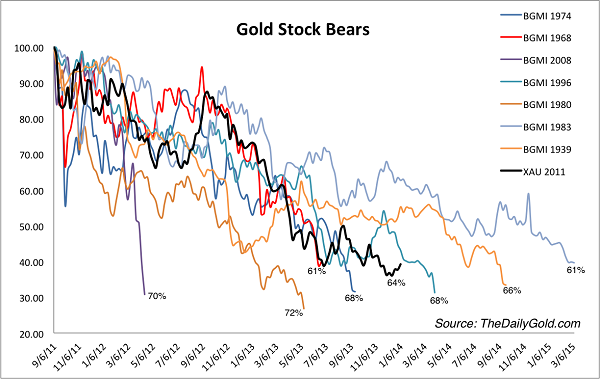 Who Wants to Analyze a Gold Stock? If there is interest, we can work through a company in a few posts next week. 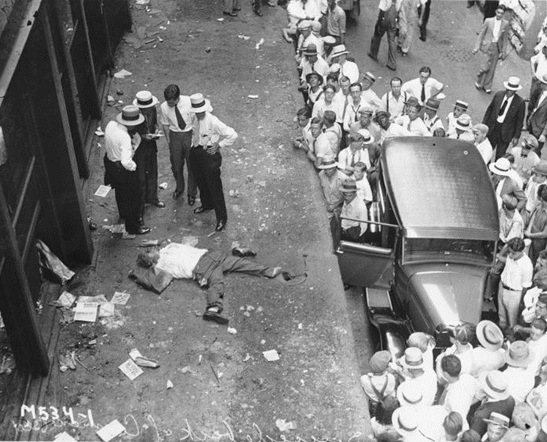 Banker “Suicides”; Economic Myths; Food Crises; Gold Stock Analysis? The string of suicides among the leading bank employees is indicative of the change in trend. The major Wall Street banks including Bank of America, Goldman Sachs, JP Morgan, Credit Suisse, subsequently told junior bankers to take more time off since the death at Bank of America last August of a 21-year-old Bank of America intern who died after reportedly working consecutive all-nighters at the bank’s London office. It never ceases to amaze us that people who understand that it would make no sense to have central planners setting the price of eggs believe that it is a good idea to have central planners setting the price of credit. Myth #2: The Fed’s QE boosts bank reserves, but doesn’t boost the money supply. It’s a fact that for every dollar of assets purchased by the Fed as part of its QE, one dollar is added to bank reserves at the Fed and one dollar is added to demand deposits within the economy (the demand deposits of the securities dealers that sell the assets to the Fed). The conventional wisdom that “inflation” is not a major concern unless the CPI is rising quickly is not only wrong, it is also dangerous. It is wrong because monetary inflation affects different prices in different ways at different times, but the resultant price distortions always end up causing economic problems. It is dangerous because it leads people to believe that there are no serious adverse consequences of central-bank money printing during periods when the prices included in the CPI are not among the prices that are being driven skyward by money printing. Social unrest may reflect a variety of factors such as poverty, unemployment, and social injustice. Despite the many possible contributing factors, the timing of violent protests in North Africa and the Middle East in 2011 as well as earlier riots in 2008 coincides with large peaks in global food prices. We identify a specific food price threshold above which protests become likely. These observations suggest that protests may reflect not only long-standing political failings of governments, but also the sudden desperate straits of vulnerable populations. If food prices remain high, there is likely to be persistent and increasing global social disruption. Underlying the food price peaks we also find an ongoing trend of increasing prices. We extrapolate these trends and identify a crossing point to the domain of high impacts, even without price peaks, in 2012-2013. This implies that avoiding global food crises and associated social unrest requires rapid and concerted action. (CAMBRIDGE, MA) — A new study shows that the timing of outbreaks of violence rocking North Africa and the Middle East is linked to global food prices. Today’s headlines explode with stories of failed political systems, harsh regimes, and denial of rights underlying riots and warfare. The authors, however, point to rising food prices as a key factor too–not only in assessing the aftermath but in predicting future times of unrest. The study, titled “The Food Crises and Political Instability in North Africa and the Middle East,” is by Marco Lagi, Karla Bertrand and Yaneer-Bar-Yam of the New England Complex Systems Institute. Using detailed charts showing data from the FAO Food Price Index and the timing of the riots, the authors were able to demonstrate how food prices have a direct link to the tipping points of unrest and upheaval. The authors also criticize the deregulation of commodities markets in the US as contributing to the rise in food prices. The authors issued a stern warning that if food prices remain high, disturbances will continue. Averting further crises this year and next requires quick and concerted action by policy makers, they added. “Our predictions are conditional on the circumstances, and thus allow for policy interventions to change them. Whether policy makers will act depends on the various pressures that are applied to them, including both the public and special interests,” said Prof. Bar-Yam. Mr. Ned Goodman of Dundee Corporation has over 50 years of investment and business experience. His “Buffett-like” 2012 Annual Report is a great read: Contrarian Business Man Dundee Annual-Report-2012 (Beware of confirmation bias! His views mirror mine, but he is too optimistic). Why gold? 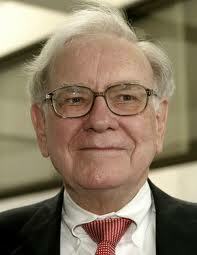 “The price of gold is the reciprocal of the world’s faith in the deeds and words of the likes of Ben Bernanke”. As the global Central bankers increase their supply of paper currency, we should all be losing faith in their promises and move to the historical form of money that just cannot be created out of thin air or by the push of an electronic button. Why gold? 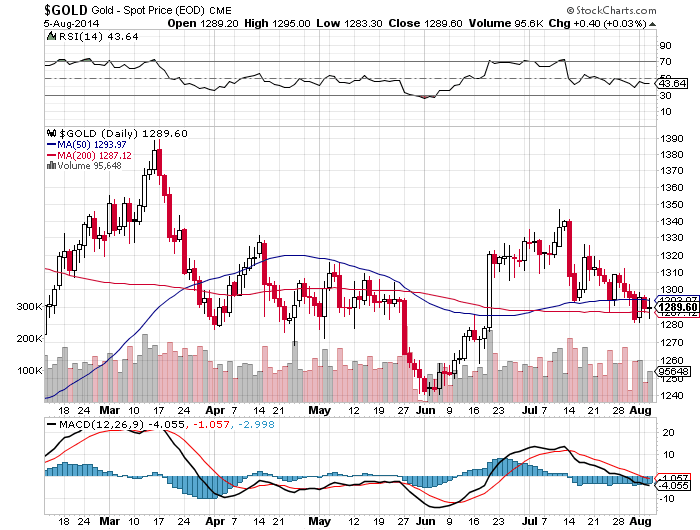 According to James Rickard there will soon be a re-linking of gold to money at a significantly higher price; i.e. an across-the-board devaluation of the world’s major currencies which will create the inflation that the central banking policymakers really want. It then allows nations to repay debt at par with currency that is worth considerably less because it was recently printed. Mr. Bernanke does this every day when he prints new currency to buy old bonds. He is reducing the debt load of the country with devalued currency. It is important to remember that, “In a currency war nobody wins”; we see a lot of wealth destruction unless we own hard assets that systematically increase as inflation takes place. Gold is the historical favourite. Mountains of debt will be an insurmountable obstacle to any country’s previously loved higher standards of living. The growing gap between what the government attests to and what it spends will always threaten its financial solvency. And this, today, is a global problem – not only one for the United States. The pending economic situation is all about debt, deficits, and inflation. Rising and unsustainable debts or deficits will potentially sooner or later lead to potentially catastrophic consequences. At the top of the list has usually been severe inflation in the future. The whole situation mirrors the late 1960s, during a period that led up to the “Nixon Shock.” Back then, the world was on the Bretton Woods System – an attempt on the part of Western central bankers to pin the dollar to gold at a fixed rate, while still allowing the metal to trade privately as a commodity. 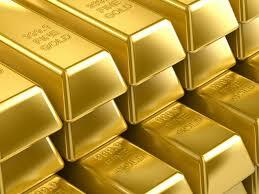 This led to a gap between the market price of gold as a commodity and the official price available from the Treasury. 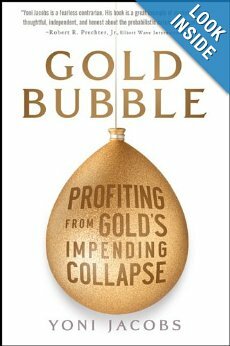 As the true value of gold separated further and further from its official rate, the world began to realize the system was unsustainable, and many suspected the US was not serious about maintaining a strong dollar. West Germany moved first on these fears by redeeming its dollar reserves for gold, followed by France, Switzerland, and others. This eventually culminated in President Nixon “closing the gold window” in 1971 by ending any link between the dollar and gold. This “Nixon Shock” spurred chronic inflation throughout the ’70s and a concurrent rally in gold. Perhaps the entire international community is thinking back to the ’60s, because Germany isn’t the only country maneuvering away from the dollar today. The Netherlands and Azerbaijan are also discussing repatriating their foreign gold holdings. And every month, we hear about central banks increasing gold reserves. The latest are Russia and Kazakhstan, but in the last year, countries from Brazil to Turkey have been adding to their gold holdings in order to diversify away from fiat currency reserves. And don’t forget China. Once the biggest purchaser of US bonds, it is now a net seller of Treasuries, while simultaneously gobbling up gold. Some sources even claim that China has unofficially surpassed Germany as the second largest holder of gold in the world. 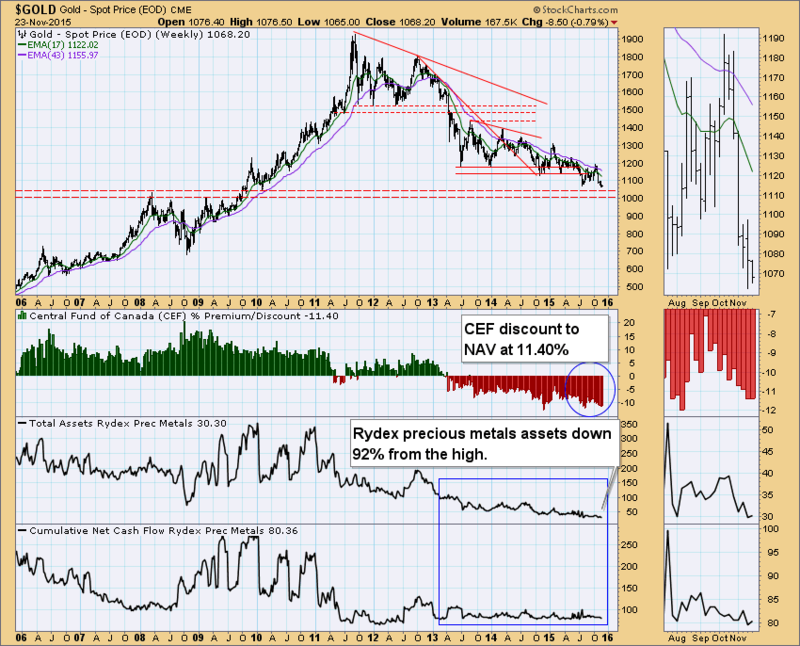 read that I am more bullish on the price of gold than ever and that I am expecting a future global inflationary scene. 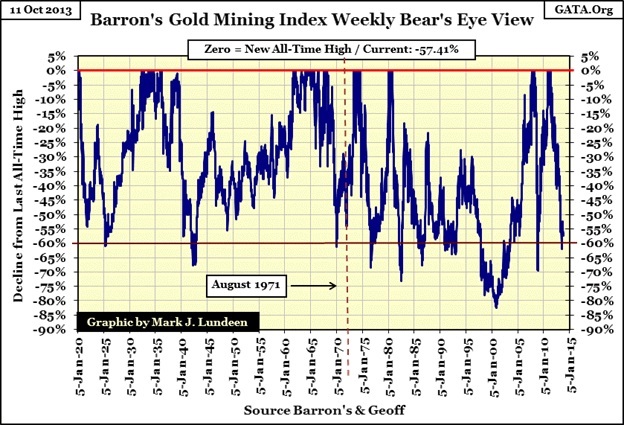 The warning is that you should know that I am well aware that the price of gold currently is down by more than 15%, the biggest drop since 1980, and according to most “street” players does not look so good for the future. The last six months has been the worst stretch for the gold price since the early 1980s but also from which time the price of gold is still up by over 500%, after twelve years of rising prices. Clearly the number of obvious fundamentals working for a higher gold price is in decline other than several of my personal favourites. The mania of fear about global money printing and the continuous purchase of gold by central bankers, especially from China, is very much still intact. The herd of every day investors who got on the band wagon in the bear market of 2007 is probably lightening up as the fear of shorter term gold price is worse than the Armageddon than has been in place. The real gold players are still intact as can be seen in that in this same recent fourth quarter of 2012 central bankers bought 145 tons of gold bullion. 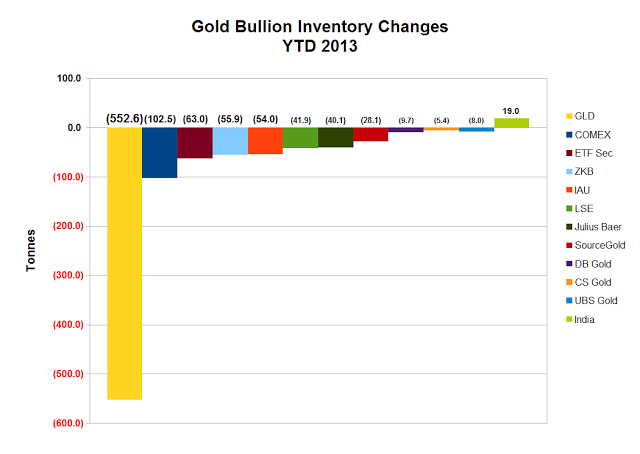 The first quarter of 2013 is not published as yet, but expect to see more buying of gold by central bankers. The purchase of 145 tons in Q4 was only eclipsed by central bank buying in the second quarter of 2012, when they bought 161 tons, the largest sized purchase by central bankers in any previous quarter of a year. The recent fourth quarter purchase of 145 tons is the second largest purchase of central bankers, ever. I ask you to consider that in my view the central bankers of the world are the only people who have full access to inside information and whose job description demands that they use it for their quest to keep the economy, as seen by others, to look very stable. And today the world does not look very stable. We have trouble in the Eurozone and of course, today, Cyprus; the US GDP in the fourth quarter of 2012 “grew” at an annualized rate of 0.4% which was deemed positive as most thought that there would be a 0.1% negative figure. This “show” of better numbers than expected of course has a negative effect for the US gold odd lotters who use the GLD ETF. In addition, the Federal Reserve in the US managed to somehow, since the end of 2012, move the value of the US dollar up by 4%. Obviously because gold is priced in those reserve currency dollars that automatically causes the price to go down. However, a 4% increase in the dollar is a move that looks very anomalous as compared to previous dollar valuation. Fortunately, for Mr. Bernanke his job is made easier by the “currency war” that actually is in place, notwithstanding the many denials. As a result, while some central bankers are major buyers of gold, there is at least one in Washington who needs the gold price to remain quiet, or down, to achieve his country’s needs for stability. However, there is a bigger picture and the two largest buyer nations, Russia and China, have recently had a very friendly tête-à-tête meeting of the Presidents. Newly elected President Xi Jinping of China used the term “international strategic partners” to describe the new Russian-Chinese relationship. 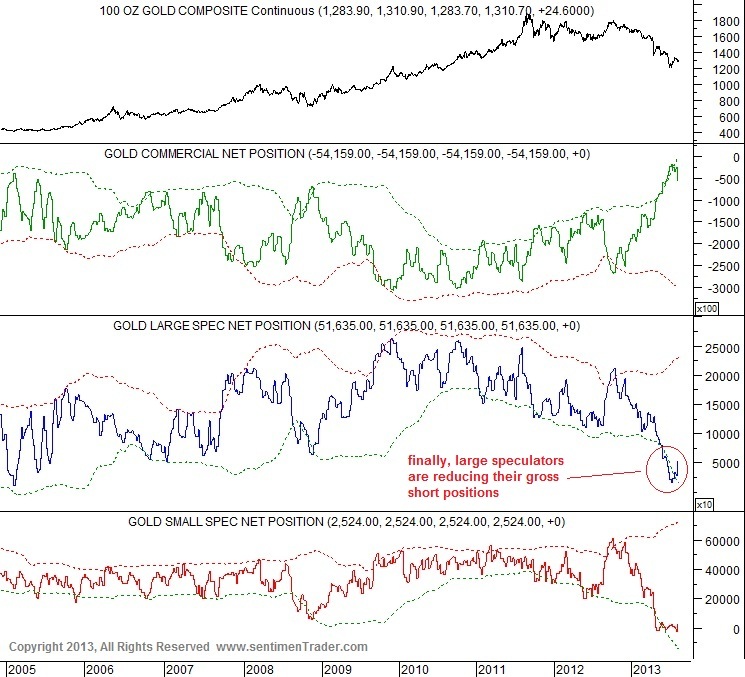 Stay tuned on the gold price, the true buyers of gold would rather see a lower price. The central bankers outside of the United States may have a different vision than the US central bankers who are entrapped by the Keynesian view as they try to dismiss gold as having any value from a self serving logic to keep the reserve currency of the world stable. And besides, once Goldman Sachs covers their short position they will probably falsely seduce as much gold buying as they did on the announcement of their short sale on April 10. John Templeton always told us, “Do not tell me where the news is best – tell me where it is the worst”. Guess what? Today it is the worst in the mineral industry, especially in gold. 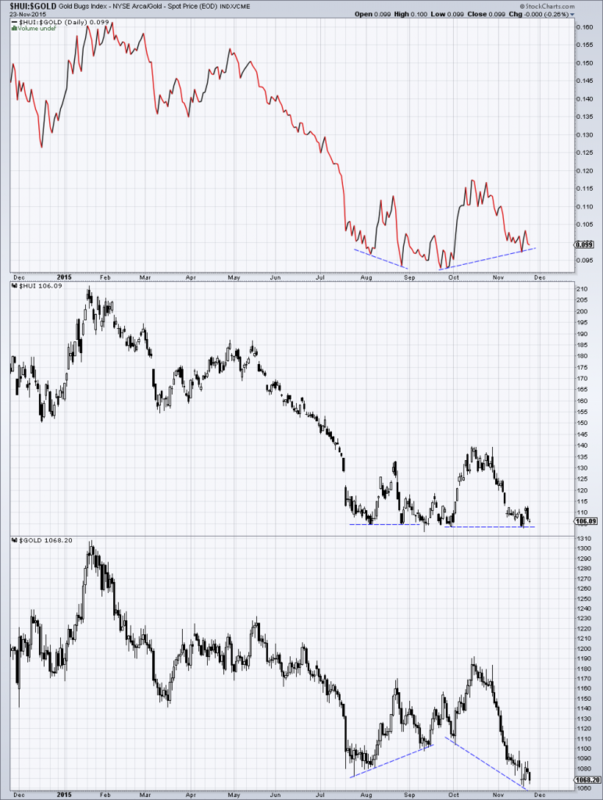 I continue to consider that gold and gold stocks are still in a long term secular bull market that began in late 1999 and early 2000, and today gold and gold stocks are recovering from their recent lows created by the Goldman Sachs “go-short warning” of April 10 th, 2013. 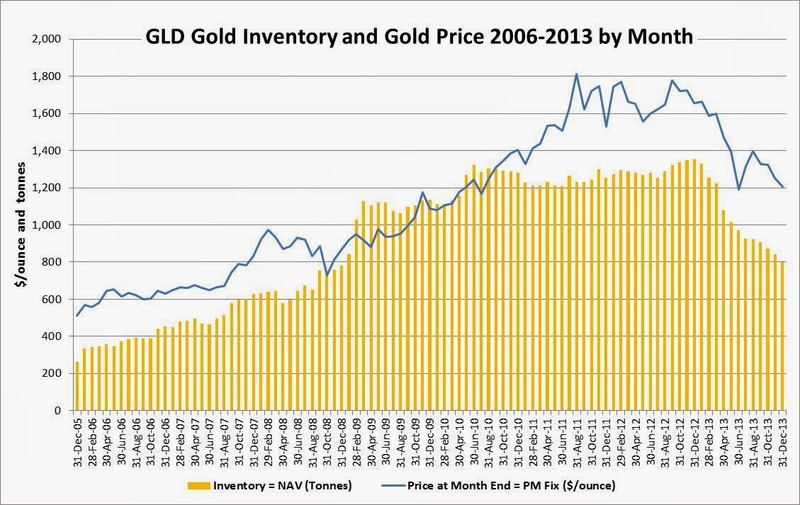 At current prices (April 11th, 2013), gold as a commodity looks historically inexpensive when compared to historical prices. Gold as an ETF is under siege today and maximum pessimism is being delivered in the midst of a very Long-term secular bull market for gold in bullion format. This is a very unique set of timing, not unlike the early days of the 1970s when gold at $100 an ounce was a pure giveaway. Prices have been created by false and manufactured pessimism. Within a more secular bull market we can expect unbelievable opportunity for significant gains. 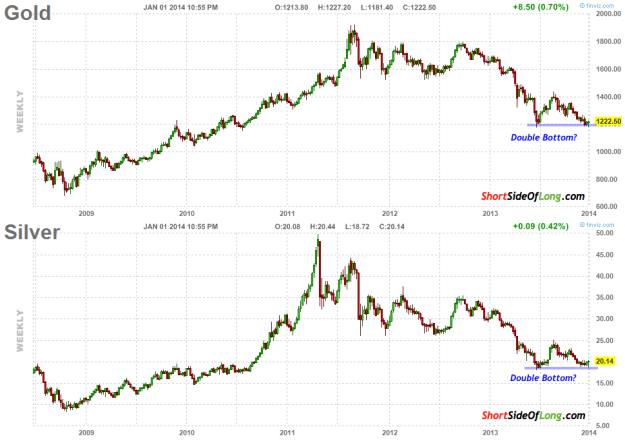 The overall market for gold is still in a bull market but the current situation is acting like a bear market. As John Templeton said, “Buy at maximum pessimism”. The US Federal Reserve led by Ben Bernanke is talking out of both sides of his mouth. In late February he said that due to signs of improvement in the economy (that only he saw) he might stop buying debt and printing money. Nonetheless, the $85 billion of debt he buys each month continues like clockwork, even today, in May. I have been a professional asset manager for over fifty years. Many years which included portfolios of publicly traded stocks and bonds for wealthy families, banking institutions, pension funds of major companies, mutual funds of diverse holdings as well as the creator and provider of “tax flow through” investment dollars to a hybrid of junior and senior Canadian resource companies. I have come to realize that a lot has changed since 1962. In fact, a lot more has changed since 2002. According to the CFA Institute whom I quote herein: “In 2002 asset managers were still smarting from the fact that ‘Yahoo’ did not take over the world.” “Institutional investors were firing balanced managers and replacing them with “specialized ones” (whatever that is). ETFs were just coming out as a niche product which really did not look any different than an index fund or most similarly specialized mutual funds. Spreading risk through structured derivatized vehicles like collateral debt obligation was incorrectly thought to lower risk not to increase it. And so, said the CFA Institute, it was generally unrelievedly agreed that Alan Greenspan “was the wisest man in the world”. Of course, says the CFA Institute today, things look different now. It is safe to say that very few people projected those ten years from 2002 to 2012 as they turned out. So how do they think it is now going to be for asset managers in the next ten years? IS IT AN UPSIDE DOWN WORLD? The world is awash with contradiction with stocks rising to new highs as interest rates reflect a slowing economy. The stock market rally is not believable and is unloved by those of us who are deemed to be pro. In 2009 when I was being bullish and stating that the US Fed and Monetary policy could return the US to growth as well as inflation there was much skepticism. The reverse is now true. Other than me, equity investors seem to have a very high degree of faith that the central bankers can pull all off those variables which they thought were not possible in 2009. 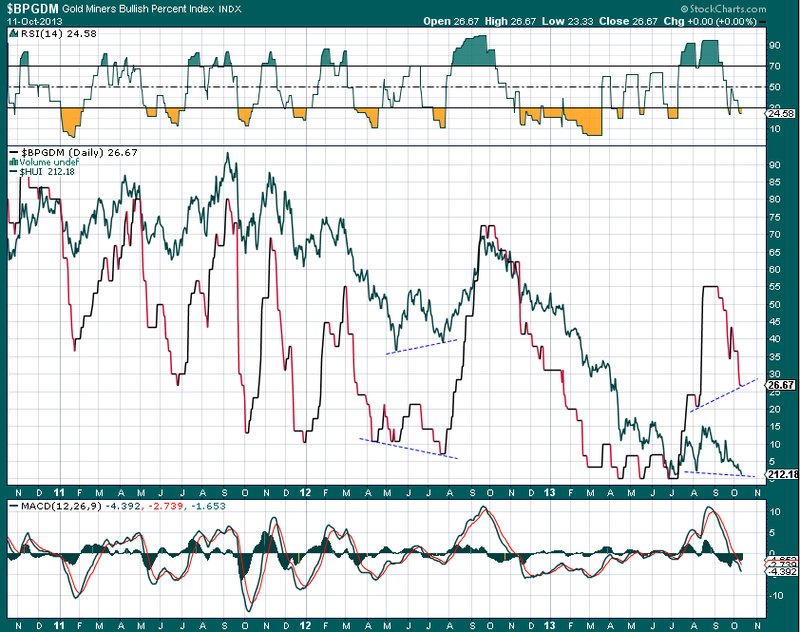 My view – the faith in the US Fed is totally misplaced. 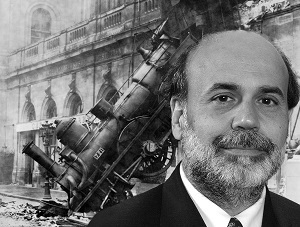 After four years of extreme monetary policy the Fed (Bernanke) has failed to create real economic growth. Today, even China has too much debt. They are likewise addicted to debt to achieve growth, but they at least are smart enough to be ridding themselves of US Treasury Bills. Nothing is normal. Not the economy. Not the financial system. Not the financial markets. And not the political system. greater financial crisis than the one we lived through in 2008. The bond bubble would burst, interest rates and unemployment would soar, housing prices would collapse, banks would fail, borrowers would default, budget deficits would swell, and there would be no way to finance another round of bailouts for anyone, including the Federal Government itself. It’s not really safe out there. In order to generate phony economic growth and to “pay” the US debts in the most dishonest manner possible, it appears that the Federal Reserve is leading the world to the destruction of the dollar. Anyone with wealth in the U.S. dollar should be concerned that the economic leadership is firmly in the hands of bureaucrats who are committed to an ivory tower version of reality that bears no resemblance to the world as it really is. And the Chinese and the Russians are aware and do have that very concern. There is no exit strategy for the monetization of debt. Any increase in interest rates would blow away the monetary policy of the United States and will likely undo the reserve currency privilege of the dollar. The US household debt today is at all-time highs as compared to household income, and most credit cards and home equity lines are maxed out. To increase consumption, earnings must rise and unemployment has to be reduced. Further, the lack of domestic savings and an aging population with more and more retirees would actually mean less consumption and growth over the near term and at current debt levels, as well as deleveraging on a global basis. There is likely insufficient even global savings to fund the American’s Squanderville even though the Federal Reserve in the US continues to issue Squanderbonds and creating pieces of paper, causing many foreigners of Thriftville to grow uneasy about the long-term value of the American Squanderbonds that are continuing to be created. Let me bring back gold and tell you why I am a totally convinced gold nut. The story of gold has no ending but I was impressed by a fellow Canadian by the name of Robert Mundell who – in December 1999 – won the Nobel Economics prize and said as he accepted the prize, “The main thing we miss today is universal money, a standard of value. The link between the past and the future and the current linking remote parts of the human race to one another”. He went on to remind his audience that gold had filled that role from the time of Augustus until 1914 and that the absence of gold as an intrinsic part of our monetary system today “makes our twentieth century unique in several thousand years”. It now seems that in 44 BC all roads led to Rome, In 1944 all paths led to the USA and today and 2014 all roads lead to gold. 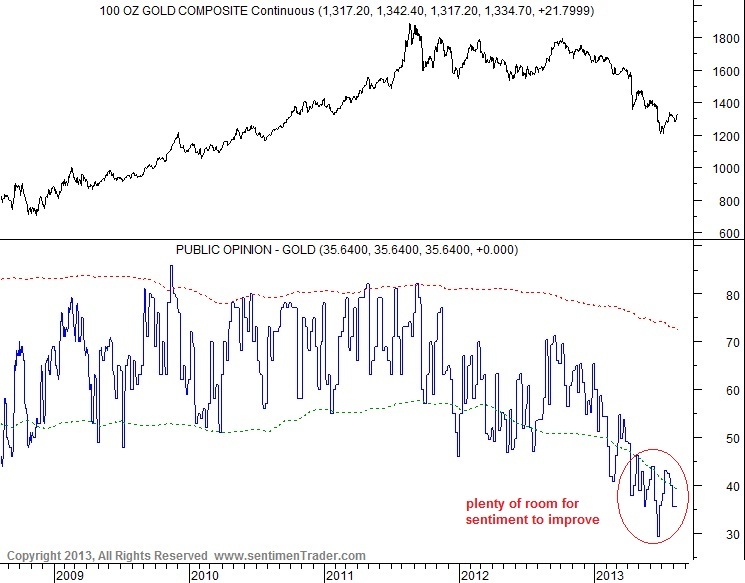 Goldman Sachs’ Jeffrey Currie created gold’s biggest collapse since 1980 after the recent April 10 Th because he recognized two very essential technical points. Firstly, presumably, without his assistance the price chart of gold had just gone through the technical point called “The Death Cross”. Secondly, he had the power of Goldman Sachs behind his negative thrust,. As such, the price of gold as measured by the ETF traded down as GLD broke down after twelve straight years of a rising price. However, while the public at large was selling their ETF as a follow up to Goldman, the central bankers of the world used the price drop to bulk up their purchases of gold bullion and China for one was a significant buyer of the metal as well. When it comes to gold, the central bankers have more power than Goldman and we are treating the drop in price as a Goldman Sachs’ profit ploy and expect that it will take some time to overcome the technical damage with the likelihood of more bottom testing to come. We are more impressed by the response of the physical buyers of gold bullion in Asia and the US where there was a rush to buy physical gold at the Goldman-created lower price. There are indications that some Indiangold retailers were actually paying a premium of $8 to $10 per ounce over the derivative ETF price in order to meet immediate customer demand. They have paid premiums before but these numbers are four or five times the previous premiums to satisfy Indian retail demand. And to top it off, the China Gold Association has reported that Chinese retail purchases of bullion tripled across China on the 15 Th and 16 th of April following the Goldman inspired price collapse. Further, according to CLSA, it was reported that trading of gold on the Shanghai Gold Exchange, a proxy for gold demand in China surged to a record 43.3 tonnes on April 22 and is averaging 36 tonnes per day of buying as compared to a daily average of less than 10 tonnes per day for the first quarter of 2013 and according to CLSA again, “Hong Kong jewellers have said that they have effectively run out of gold holdings”. And in the US, the mint said that they have suspended sales of its smallest one-tenth ounce gold bullion coins as “surging demand ran down government inventories”. To quote CLSA once again, “It is interesting to note how the technical breakdown in bullion seems to have been triggered by massive selling of pap er gold, in what increasingly looks like a classic “bear raid”. This is all part of a process where ownership of gold is passing from weak hands to strong hands. That is long term bullish”. We agree with the CLSA comments and congratulate Goldman Sachs for ach We agree with the CLSA comments and congratulate Goldman Sachs for achieving a profitable “bear raid”; not their first and highly likely, not their last. My personal gut feeling is that we are heading towards a seismic move for the price of gold – a seismic move upwards – just to make it clear. It will happen because governments and central bankers are more likely to step-up fiscal and monetary actions as the economic growth outlook continues to deteriorate. We are on the threshold of a new gold standard being formed. The world is moving step by step towards a de facto gold standard or a new facto gold standard take over by the International Monetary Fund.